Take Our New Introductory Car Design Course on Udemy! Aspiring car designers have asked for an introductory course they can take at their leisure. We listened! The new “Introduction to Automotive Design” course is a 5 part lecture series that covers everything you need to know to take your car design drawings to the next level. It’s available on Undemy and can be taken for a fraction of the cost of 5 individual lessons. The course covers developing the proper line quality, where car designers get their inspiration from and how you can get inspired too, drawings circles and ellipses, how to draw a proper side view and a bonus lecture on the vocabulary of automotive design. 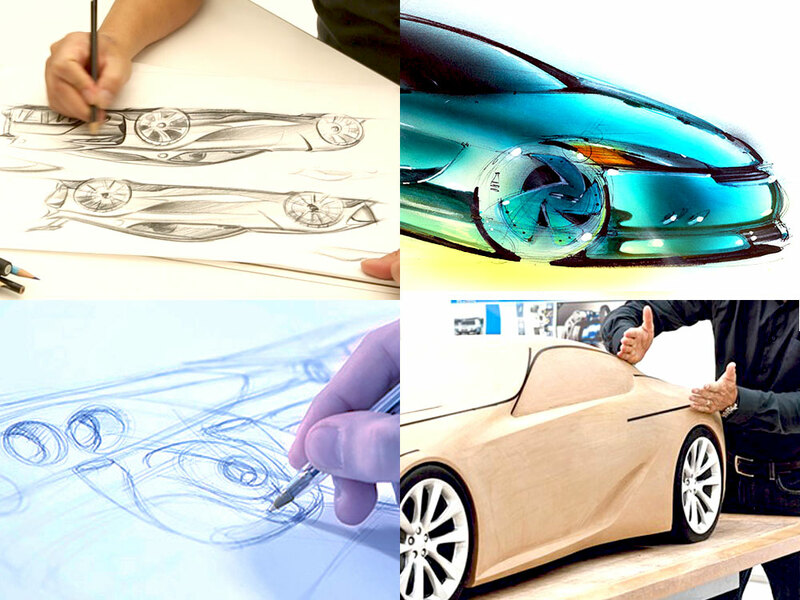 Check out the course here – Introduction to Automotive Design. Learn How to Draw Cars Better! Our How to Draw Cars tutoring program is designed for high school students who love to draw cars, dream of becoming a car designer or adults who love to draw and want to improve their skills. If you love to draw cars or dream of becoming a car designer, don’t you deserve the best chance at making this dream come true? Almost all other disciplinrs have a support structure to provide a path to improvement, except automobile design. Until now. Now you can be tutored by an award winning, professional car designer who was in exactly same place as you are in today, when he was your age. The best part is you can get started for as little as $25. Sound good? Read on….. The How to Draw Cars program utilizes the power of the internet to bring student and teacher together. Your session is a video conference using apps like Skype or FaceTime. A live drawing demonstration and design discussion will be done over a copy of your drawing. Your tutor will make suggestions that will take your skills to the next level. This is also the time to ask questions. We recommend you take notes and screen shots to use as reference after the call. The sum of this information becomes your personal resource material and the foundation for your improvement. Again, the drawing demo and design discussion is about your work. It’s personal, one on one attention. It takes 10,000 hrs to get good at something. Thats about 10 years, even with the right guidance. Without it, you’re on your own. The Online Academy of Automobile Designs’ How to Draw Cars program can drastically cut down that time, allowing you or (your child) to develop skills and knowledge far beyond your years. It’s known that Wayne Gretzky played his youth hockey against kids 2-4 years older than him. What if your design and drawing skills were two to four years ahead of everyone else your age? How much more interested would the top design colleges be in having you attend their program? How much better would you do with scholarship opportunities? Why a 15 min Session? Drawing cars is hard. Really hard. The goal of the How to Draw Cars program is to improve your drawing skills by giving you short bursts of quality instruction about your work. By compressing the tutoring session to 15 min, the student remains focused on the information being shared. They retain and absorb it, experiencing real improvement very quickly without being overwhelmed. Not ready for one-on-one tutoring, check out the new “Introduction to Automotive Design” course on Udemy. • Get one on one tutoring using the form on the right. For only $25.00 USD per session, you’ll get the personal attention of a professional automotive designer to teach you everything you’ll need to improve both your drawing and design skills. 1. Fill out the questionnaire to the right as completely as you can. 2. Upload the image of your work you want to be part of your session. (2mb max in any standard image format). Your tutor will do a drawing demo over this drawing as part of your instruction. Choose one that best represents your drawing and design abilities. 3. Once you click send, we will contact you by email to arrange payment and to discus the best date and time for your session. If you have any questions about the How To Draw Cars program, please email.